When Socialized Medicine Stamps You “Non-Essential” Things Go Downhill Fast! This is the REALITY of government-run health care that its advocates refuse to talk about, and ordinary citizens refuse to think about. All some people see is just “free healthcare” and have no idea of what it would really be like. You can show them the extremely high taxes, the poor quality of care and the long waits, but they simply refuse to hear the truth. In 2017, it’s hard to deny that universal health care is the endgame of the Democrat Party, even if it remained under wraps during the Obama years. “This is where the country has got to go,” Sanders said in an interview at the time. Sanders’ model for a “rational health care system that guarantees coverage to everyone” is Canada, a country whose system he’s talked up for ages. Back in November, the rumpled Clarence Darrow impersonator and current 2020 Democrat front-runner made a much-ballyhooed two-day propaganda tour of Canada’s system with staffers, health care professionals and (most importantly) journalists. However, while Sanders was being shown the advantages of Canada’s system by its supporters in a very conspicuous way in Toronto, nobody seemed to mention what happens if you’re “non-essential” in Waterloo, Ontario, just 90 minutes west of Canada’s largest city by car. 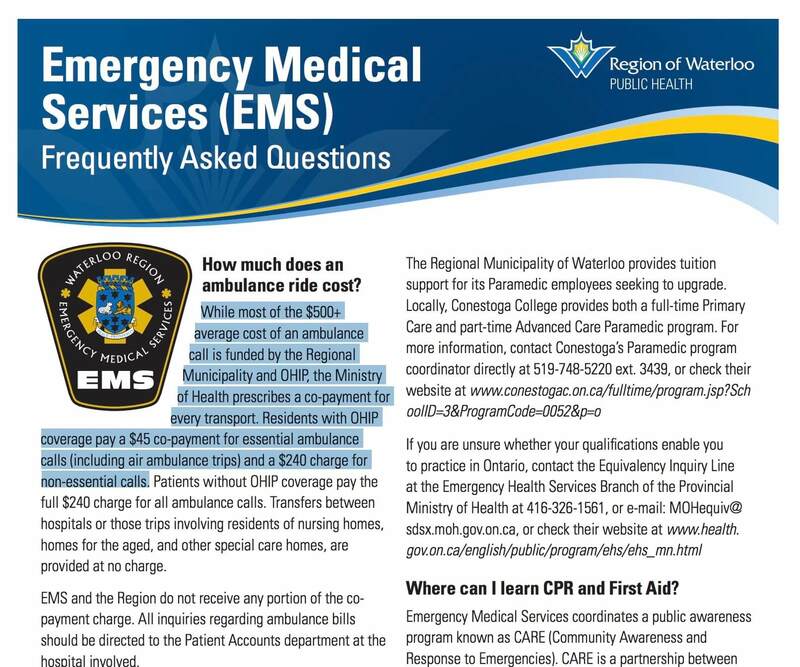 A PDF posted by the Region of Waterloo Public Health office noted that EMS services aren’t covered by the Ontario Health Insurance Plan’s “universal” insurance if they’re deemed to be “non-essential” — and those who call for an ambulance could be stuck with almost half the bill. 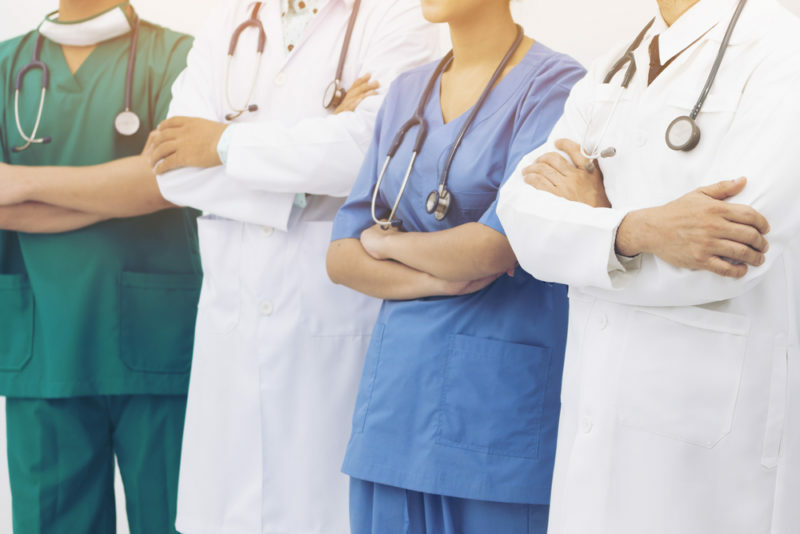 “While most of the $500+ average cost of an ambulance call is funded by the Regional Municipality and OHIP, the Ministry of Health prescribes a co-payment for every transport,” the PDF reads. This may seem somewhat trivial, all things considered. However, it’s certainly not the only way one can be deemed expendable by Canada’s socialized health care system. Take the case of Jack Webb, a Nova Scotia man the Conservative Tribune wrote about in October. Webb, 68, was suffering from terminal pancreatic cancer but the option of palliative care — keeping the patient comfortable as the disease progresses — was never discussed with him, even though it’s considered one of the most common courses of treatment for the illness.